Trained as an actor and self-taught as a sculptor and puppeteer, Kevin Augustine founded Lone Wolf Tribe in 1997. An indefatigable craftsman with a mission to investigate, challenge and spellbind, Kevin devotes 2-5 years to fully realize each new production. 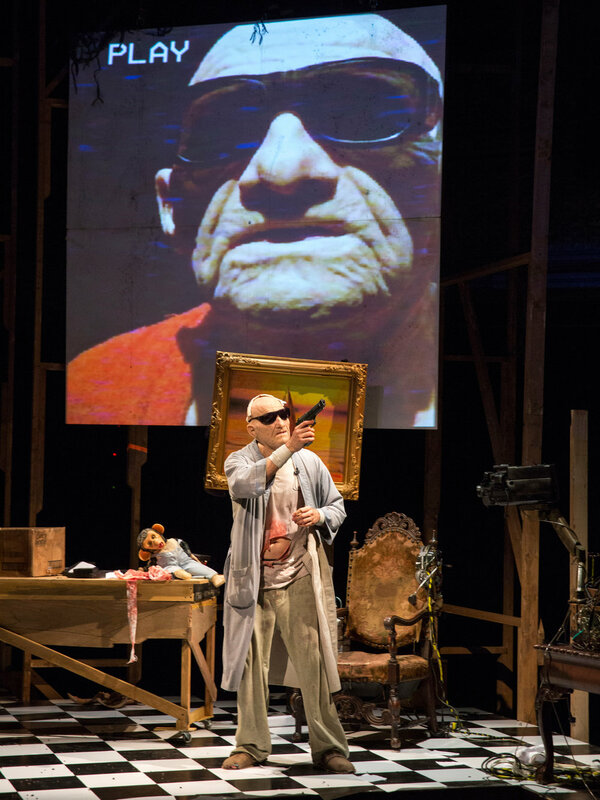 Having written and performed 7 full-length Tribe shows, including his opus BRIDE (PS122 commission & UNIMA citation), his original stories aim to speak compassionately to our collective human experience and unabashedly embrace art as a catalyst for social change. Kevin is currently creating a solo performance cycle including BODY CONCERT (a text-less Butoh hybrid developed in Norway, Canada and at St. Ann's Warehouse 2018) and THE PEOPLE vs NATURE (an interactive courtroom drama featuring a prosecuting chimpanzee). 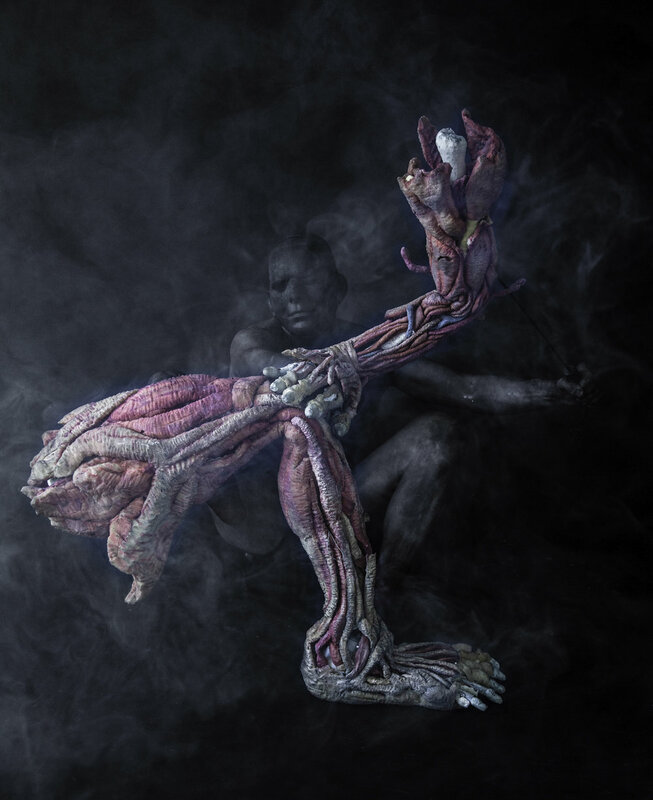 Transforming ordinary foam into a visceral ensemble of acting partners, puppet artist Basil Twist says: "In Kevin's hands the simplest act of bringing life to the inanimate becomes a hugely theatrical event." Kevin's work with his foam creations is predicated on a puppet's inherent magic, coupled with the deep power of theatrical possibility which is pointedly not about "object manipulation." 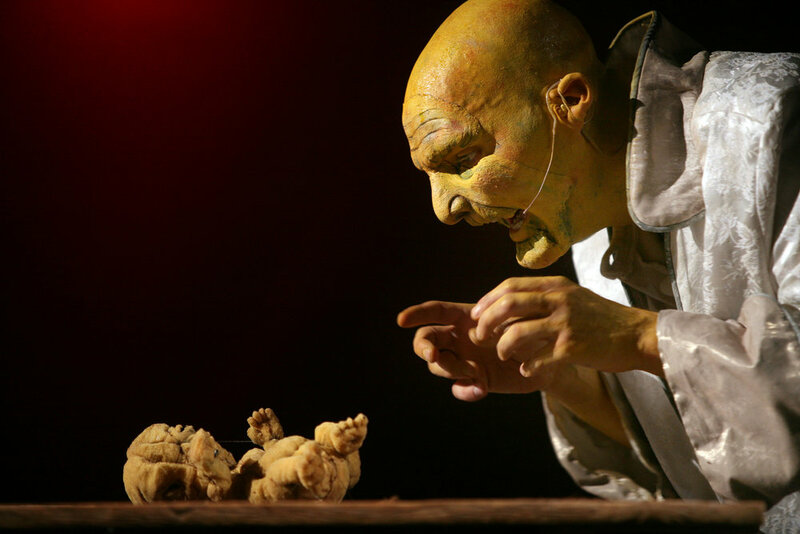 KA: "For me, creating with puppets is about partnership, not control. That's why I say 'animate' instead of 'manipulate' a puppet. What positive relationship exists when manipulation is involved? When a puppet takes a breath, it is shared with the puppeteer and in that moment the habitual is transformed into an event. Likewise, the more challenging terrain of our human landscape-- war, social injustice, life itself-- takes on a new perspective when experienced through the life of a puppet." Augustine's career with puppets began with lasting inspiration from his grandmother. Since then his work has been published, commissioned, performed internationally on 4 continents, and archived in the NYC Library for Performing Arts. 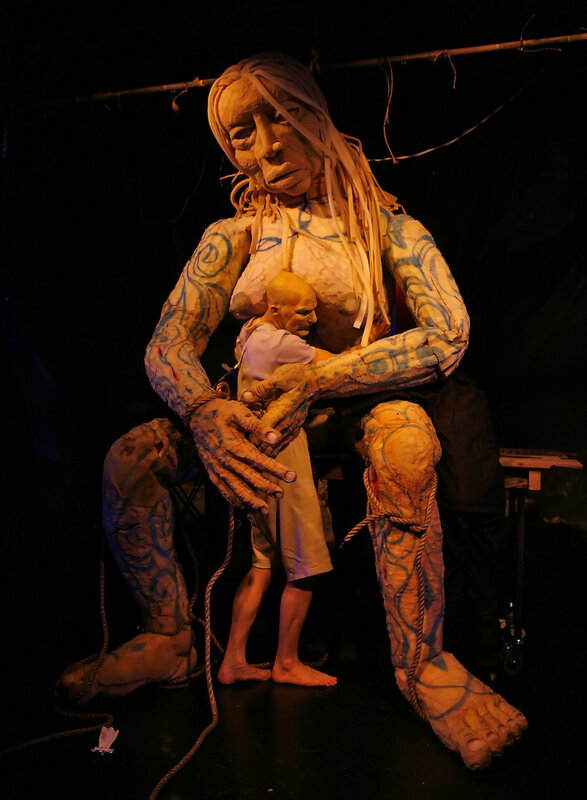 Awards include an "UNIMA Citation for Excellence in Puppetry", the NYC Fringe "OverAll Excellence Award" & the Innovative Theatre Award for “Outstanding Performance Art Production”. Kevin was inducted into the Independent Theatre Hall of Fame and named a person of the year for 2014 by Indie Theatre NOW. Tribe works have been performed at PS122, La MaMa, HERE Arts Center (Harp Fellow), St. Ann's Warehouse, Dixon Place, Judson Church and BAX as well as internationally at The HARARE International Festival of the Arts (Zimbabwe), The International Poppentheater Festival (Netherlands), The CENA Contemporanea Festival Internacional De Teatro (Brazil) and The Kallang Arts Festival (Singapore). Augustine's work has been funded with grants and fellowships from The New York State Council on the Arts, The Jerome Foundation, The Jim Henson Foundation, The Mid Atlantic Arts Foundation, Brooklyn Arts Council, The Green Wall Foundation, The Axe Houghton Foundation, Puffin Foundation, The Pennsylvania Arts Council & Puppeteers of America. He is a multiple-time artist fellow of WildAcres, Yaddo, Djerassi and The Mac Dowell Colony (2007 centennial featured guest artist) and enjoyed a developmental residency on a farm in Norway through Ellla Fiskum Danz & R.E.D. as well as in Canada with an invitation from Les Sages Fous to co-produce BODY CONCERT; World Premiere: 2019. As an associate member and regular activist performance partner with Veterans for Peace, Kevin performs randomly on the streets and sidewalks of NYC with CLARION CALL : a street theatre pantomime series calling silent attention to the costs of war. CLARION CALL was invited to VFP’s 30th anniversary National Convention in San Diego and was part of the only peace contingent marching up NYC's 5th avenue in the 2015 & 2017 Armistice Day Parades. Other ongoing collaborations in non-violent activism include Grannies for Peace & Fort Green for Peace. In 2014 Augustine collaborated with Brooklyn for Peace to produce and moderate the guest speaker series, "The Pathway To Peace," following performances of his Dixon Place commissioned work, Hobo Grunt Cycle. The series featured Paul K. Chappell, a West Point graduate, captain in the Iraq war and author of several books including "Peaceful Revolution"; Vietnam vet turned Zen Buddhist monk, Claude AnShin Thomas, author of "At Hell's Gate" and Susan Schnall, a Navy nurse in the Vietnam war and current president of VFP New York Chapter 34. In 2013, Kevin collaborated with Pontus Lidberg Dance as Puppet Director on SNOW- a reinterpretation of Stravinsky's Rite of Spring, commissioned by the Royal Swedish Opera, with a 2015 NYC premier at The Joyce Theatre. 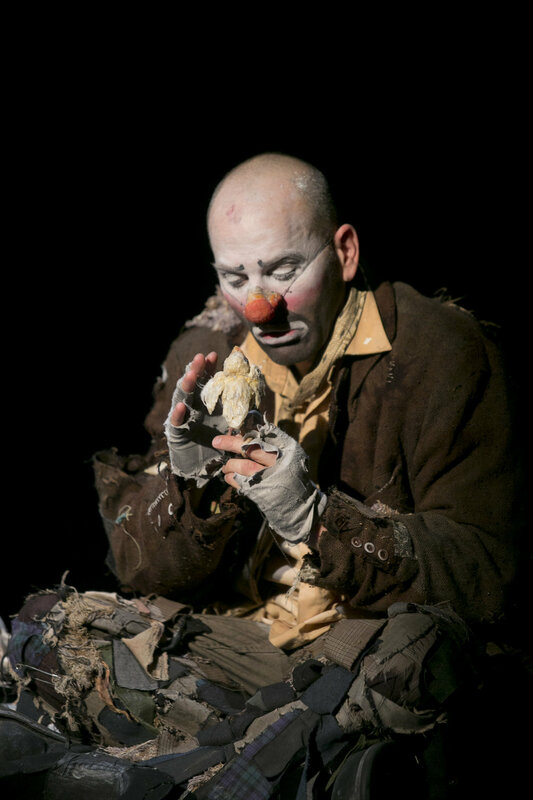 Since 2006, Kevin has been a principle puppeteer at the Metropolitan Opera in Anothny Minghella's Madama Butterfly and Robert Lepage's Ring Cycle. Offering monthly puppet making and technique workshops in LWT’s Brooklyn studio headquarters at A.R.T./NY's South Oxford Space, Kevin also happily consults with companies on their own puppet needs. Inspired by the work of Marshal Rosenberg, Kevin's personal philosophy is an amalgam of Buddhist principles and Native American spirituality. He is 100% vegan.